While we stumbling news and story over the internet, we saw this article posted on the X.Rappler website. 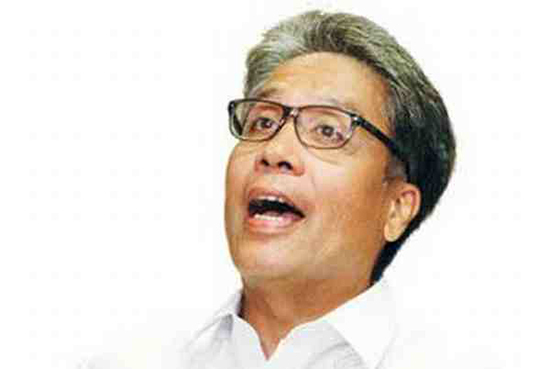 A netizen member of the said website posted his thougths about the administration standard bearer Mar Roxas for 2016 polls and who was also known as former DILG Secretary. According to the netizen named Richard with an alias as 'Magnifier-By stander,' Mar Roxas has a mouth that is quicker than his thoughts, based on his article. He titled his post as, "A President Aspirant Mar," with a caption, "His mouth is quicker than his thoughts..." posted last Thursday, January 7, 2016. If we think and really had a keen understanding towards his response. We can surely realized that Mar is not a people person. They say people’s true character reveals itself under pressure. He is more comfortable with the laissez faire style of administering his constituents. It is evident that it would be another colossal mistake if he becomes the next President. Korina Sanchez as an aspirant to be the next First Lady doesn’t sit well with a lot of people either, specially since she is beginning to show signs of irrational behavior. Both this couple need a major training in dealing stress under pressure. Their image builder cannot come out with a best solution for this. The arrogance was in their personalities. Their mouth is quicker than their thoughts. During Yolanda chaos, the mind of Roxas still in Politics. He exchanged a not so pleasant comments to Romualdez that gone viral in social media. Instead of going to grounds and gather the dead bodies that are scattered in the roads for quite sometime.Not even delivered an immediate supplies like water to those who are hungry.But spend his time and effort arguing to the local government for a piece of paper appointing him in charge of distribution or taking in charge for what? Because of the intensity of Typhoon Yolanda, the attention of the international community has also put Philippine government officials under the global spotlight. Now the whole world is witness to the true characters of Filipino politicians. Unfortunately, what we are all seeing is not good. Some of them need to work on their ego and get a lesson in humility. He linked his story to this video uploaded by Viral Tevee with a title, "Mar Roxas grilled on CNN with Andrew Stevens"
What do you think on the story about Mar Roxas? Share your thoughts below. Comments or suggestions about "Netizen to Mar Roxas: 'His mouth is quicker than his thoughts'" is important to us, you may share it by using the comment box below.